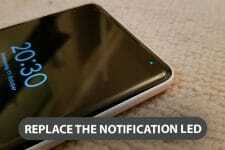 Live wallpapers are one of the best features of Android, and I’m a big fan. The dynamic and interactive nature of carefully crafted images still amazes me. There’s a popular belief, a myth, mostly, in the Android community that live wallpapers severely affect your device’s battery capacity. I’ve said it before and I’ll say it again: live wallpapers don’t drain battery life; as long as they are optimized properly. Yes. 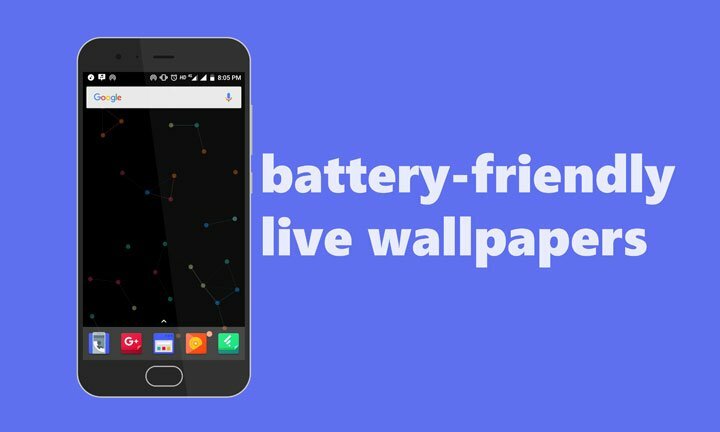 With that said, here are 5 amazingly designed and properly optimized live wallpapers you can use right now without thinking about your smartphone’s battery. Disclaimer: Please note that all of the live wallpapers used in this article are used by me for a long period of time and I’ve never faced any huge battery drain with any one of these. 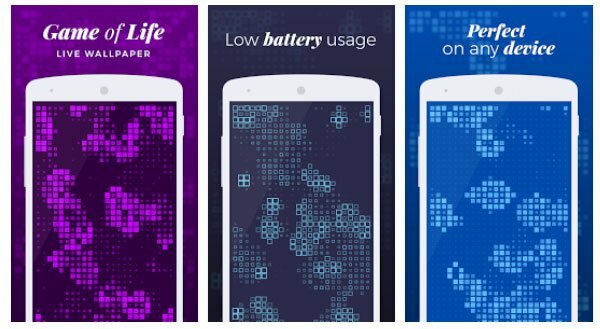 Game of Life is one of the finest live wallpapers you’ll find in the play store. It works on the concept of Cellular Automaton. In this live wallpaper, there exists a regular grid of cells and each cell is in one of a finite number of states, such as on and off and a fixed state is assigned to each cell. These cells follow a fixed set of rules and as a result, some cells are destroyed and new ones are created simultaneously. This creation and destruction of cells look slick on the home screen. What’s more? The app comes loaded with a lot of customization options like cells and background color, shape, life length, touch reaction, interval size, opacity, animation, and a lot more. Forest is one of my favorite live wallpaper of all time. With a nice and relaxing view of the forest, blowing wind, a sky that changes over time, and subtle animations, Forest is a must have. 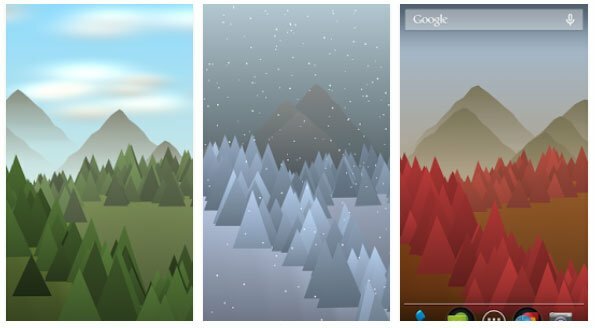 Forest Live wallpaper syncs with the weather around you using one of the many weather providers and provides a similar experience on your home screen. Along with that, you also get 3D parallax effect while scrolling on the home screen or tilting the device. Forest Live wallpaper isn’t restricted to the options mentioned above. It has a lot of customization options to keep you occupied for a while. When Google launched the Pixel phone last year it had a lot of exclusive features, and it’s the same situation with the recently launched Pixel 2. One such exclusive feature is the live wallpapers. Soon enough, these live wallpapers were ported for other devices so that everyone can enjoy them. These live wallpapers are minimal, interactive, and extremely beautiful. Thanks to their subtle animation, you can easily confuse them for static wallpapers. 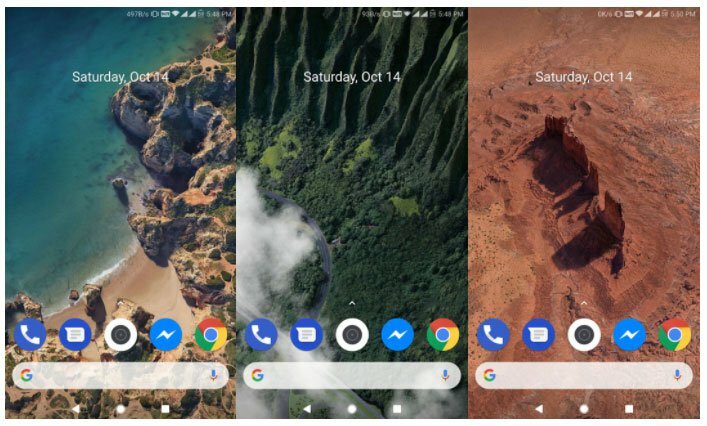 You can download the Google Pixel live wallpaper from here and the Pixel 2 live wallpaper from here. Keep in mind though, that these work best with high-end processors like the ones from Snapdragon 800 series. 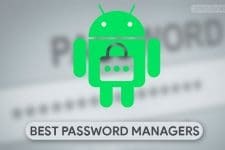 They may lag on the mid and low-end processors. 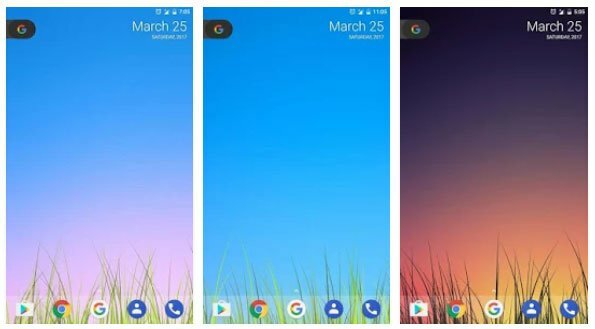 My first Android device ran on version 2.1, Eclair, and it had one my favorite live wallpapers of all time – the grass live wallpaper. Just as the name suggests, it showed green grass on the screen. The background changed depending on the time of the day. Being a kid and having upgraded from a dumb phone, it amazed me how my phone knew when’s day and when’s the night. Ah, nostalgia! Connected Dots is my favorite live wallpaper at the moment. I’ve been using for almost a month now and it’s still mesmerizing. Connected Dots forms random dots on your home screen. Even though these dots are randomly generated, they follow one rule: do not touch another dot. As a result, there’s no overlapping. If two dots are nearby, they form a net and keep on moving smoothly. 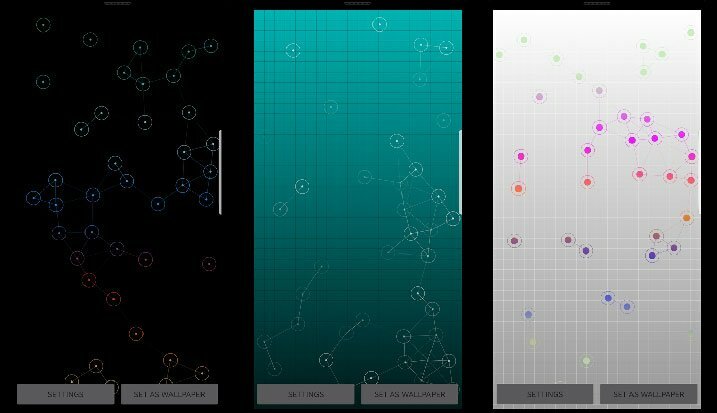 Speed alteration, repelling on touch, themes, multiple backgrounds – Connected Dots offers a lot of customizations.